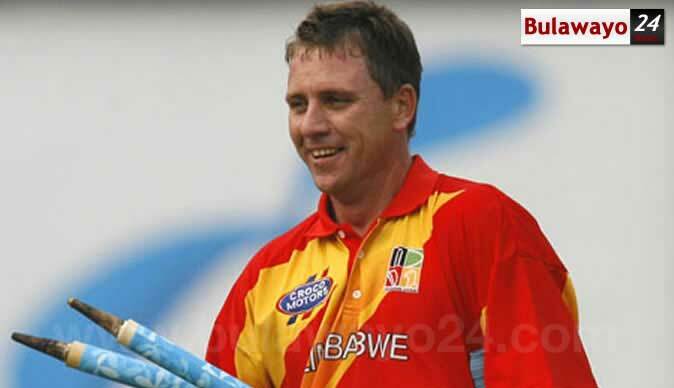 THE raging debate over the Zimbabwe Cricket's mass purge of national team technical staff has provoked angry responses from some sections of the cricket fraternity with former national team cricketer, Ray Price, yesterday alleging the board sacrificed the coaches to shift responsibility. ZC last Friday fired 13 staff members, who included the Chevrons gaffer Heath Streak and his entire backroom staff, Under-19s coach Steve Mangongo and his technical team, the Zimbabwe A led by Douglas Hondo and convenor Tatenda Taibu. Streak and his team, which included batting coach Lance Klusener, fielding coach Walter Chawaguta, analyst Stanley Chioza, fitness trainer Sean Bell, and physiotherapist Anesu Mupotaringa were shown the exit following the team's failure to qualify for next year's World Cup. Zimbabwe choked during last month's Qualifier, which was hosted in this country, when the Chevrons fell to the United Arab Emirates in a game they only needed to win to secure their place in England and Wales. ZC said their actions were as a result of the "very unsatisfactory performances and results of the Zimbabwe National team, the Zimbabwe 'A' team and the Zimbabwe Under-19 team." But Price, a veteran of 102 ODIs and 22 Tests, yesterday questioned the wisdom of that decision and insinuated the technical teams had been used as scapegoats to cover up for the board's failure to develop the game. "Is it not time that the ZC board looked at themselves before pointing to others and blaming them? ''The players sent an apology to the nation after not qualifying. ZC board just pointed the finger at the coaching staff and said it's all your fault. "Why didn't ZC admit that they too have failed? It didn't hurt the ZC board, they just feared for their jobs. How about an apology to the nation from the ZC board? "Also seeing that they are the leaders and all powerful, what steps are they taking to improve Zimbabwe Cricket? "Why couldn't they just have said to Heath and his staff, let's meet, discuss the way forward? How can we the board help you to get better? "Instead they fire all the generals to make it look like they are fixing things after not qualifying. So that when asked what have you the Board done to make sure this doesn't happen again, they can say look we have got rid of all our problems in one go! "So now ZC will hire new staff and look for miracles and results straight away. Pay three times what we would have Heath and his staff and have one-third of the passion from overseas employees," wrote Price on his Facebook page. Zimbabwe A coach Hondo was dismissed together with his assistant Wayne James while Under-19 technical team that included Mangongo, batting coach Greg Lamb, bowling coach Prosper Utseya and fitness trainer Walter Karimanzira paid the price for Zimbabwe's poor show at the recent ICC Under-19 Cricket World Cup. ZC are set to appoint an interim Selection Panel to serve up to the Pakistan and Australia matches in June/July and thereafter their performance will be reviewed. Price said local coaches deserved fair treatment. "For so many years we have hired coaches and support staff from outside our country, paid them three times what we do our Zimbabwe coaches. "Here we now have a coach and support staff, qualified, passionate . . . and ZIMBOS! (no disrespect to Lance, done some awesome work with the batters!). And how do we treat them? "New Zealand as such a small nation (like us) have 90 percent New Zealand staff, why? Because it hurts more to lose when you are a Zimbabwean/New Zealander coaching a Zimbabwean/New Zealand team! "New Zealand punch way above their weight in international cricket, why? Because they have pride in their own, they seek help from past players, past admin in New Zealand. "Ask anyone who has played for their country, then gone overseas to play elsewhere. Does it hurt more to lose playing for Zimbabwe? "So it is so sad to see how the ZC board have treated our own! Get rid of this ZC board, let's have some people who are proud of their country, people who want to look at home instead of outside," said Price.